Data is from the October 2018 Kantar report titled "Getting Media Right 2018: Extraordinary Marketing Through Integrated, Holistic Advertising." 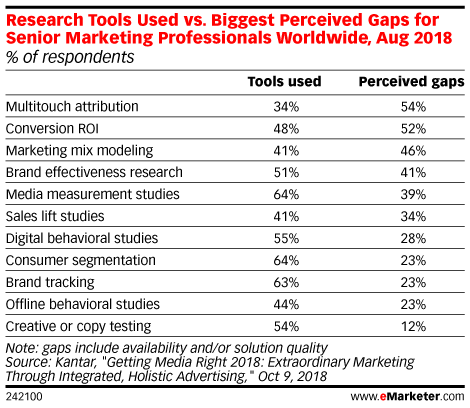 468 senior marketing leaders at advertisers, agencies and media companies worldwide were surveyed online during August 2018. Respondents identified their company as advertiser (35.5%), agency (46.2%) or media/publisher (18.4%) located in Asia-Pacific, (18.6%), Europe (18.2%), Latin America (13.0%) or North America (37.4%).